There are plenty of misunderstandings about the parking concessions that Blue Badge Holders are eligible for. Here we’ll be looking at some of the facts surrounding the entitlements that the Blue Badge scheme permits, and dispelling any myths that you may have heard over the years. This is not true at all. Despite the fact that the internationally recognised logo that is displayed on blue badges depicts a wheelchair user, you do not need to be wheelchair-bound in order to hold a Blue Badge. The logo is just a quick way to identify people who may be differently-abled, rather than specifying wheelchair users in particular. It is unfortunate that this little bit of information isn’t widely known, as it has often resulted in legitimate Blue Badge Holders being challenged about their apparent lack of disability because they aren’t visibly using a wheelchair. 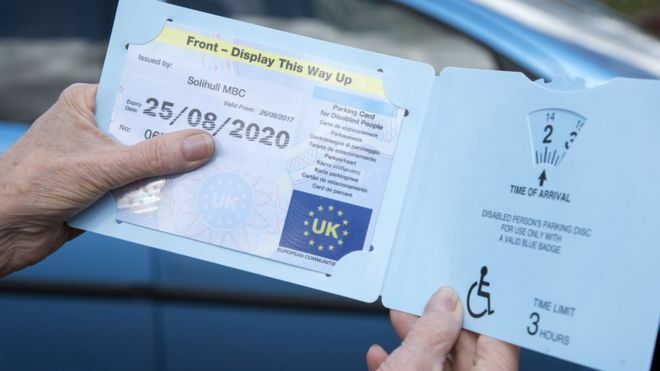 Blue Badges are issued to people with a wide range of different mobility issues, including those with sight problems, chronic pain, and prosthetic limbs. Generally, anyone who has problems covering short distances is eligible for a Blue Badge – whether their disability is immediately apparent or otherwise. Even if a friend or family member is using a vehicle in order to run an errand for you, visit you in hospital, or any other task on your behalf; it is completely illegal for them to display your Blue Badge and for them to take advantage of the parking concessions reserved for Blue Badge Holders. It is only legal for them to display the Blue Badge if you are also present and travelling in the same car. In fact, a person without a disability using a Blue Badge is only going to fuel more misunderstandings about Blue Badge Holders who do not have visible disabilities. The penalties for falling foul of this law aren’t light either. You’ll have your badge taken away and also face a £1000 fine. Remember, you are responsible for any illegal use of your badge – so even if a friend or family member uses it illegally, they will not be reprimanded, but it will be you who faces the consequences. Of course, as a Blue Badge Holder you are eligible to park in places that many other people aren’t permitted to, but that does not mean that there aren’t any restrictions. You are permitted to park for a maximum of 3 hours on most single or double yellow lines. However, you cannot park on lines that are in place for the purpose of safety, for example, those at junctions; and you cannot park in areas that are reserved for loading and unloading. You are also not permitted to park at bus stops, at taxi ranks, or spaces reserved for permit holders/residents. It is also essential that you do not park anywhere that could result in danger to yourself or to others. This is not true as Blue Badges are issued based on your current physical condition. You will need to apply to your local authority every 3 years updating them with the details of your condition. Once your current Blue Badge expires, it is illegal to display it in order to park in more advantages positions. One of the great things about the Blue Badge scheme is that it is recognised across many borders. 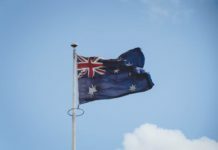 The Blue Badge is recognised in all European countries, and thus you’ll be entitled to the same parking concessions as the disabled drivers of that country are. 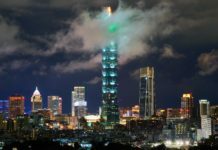 Of course, the concessions vary between countries, so be sure to do your research before travelling so you don’t inadvertently break the laws of the country you’re visiting. It’s true, when you compare car insurance policies in the hunt for the best deals, be aware that some specialist insurers will actually offer discounts to holders of Blue Badges!